Gesa Helms is a freelance researcher and artist (formerly based at the School for Social and Political Sciences, University of Glasgow) who will be dropping in to the 10th Floor on Tuesday 15 February at 12.00 to talk about the mythology of artists’ and academics’ autonomous labour. Her research is concerned with discipline, labour process and social praxis – “…What are the implications for labour that arise from such a mythology of creativity and autonomy in relation to the labour process, labour practice, but also for critical self-reflexion and for organising. 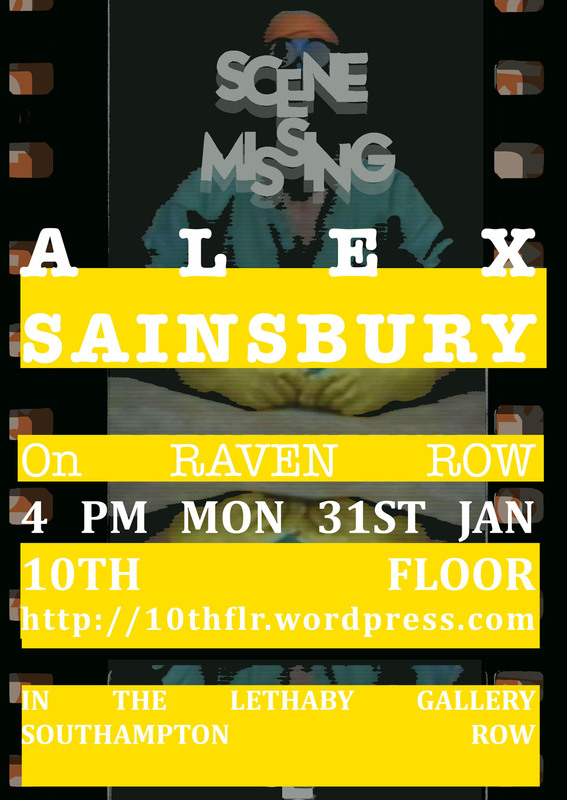 Location: Lethaby Gallery, CSM Southampton Row site. 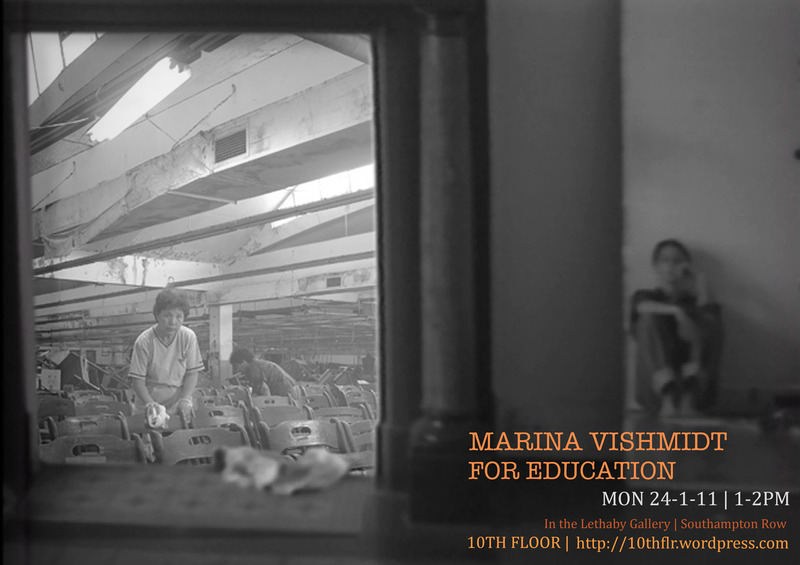 Talk: 24-11-2011 | Marina Vishmidt. For Education. 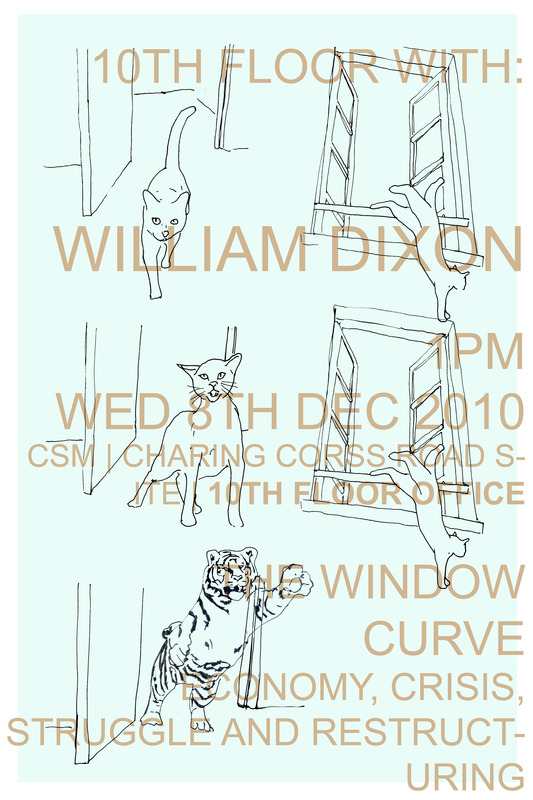 William Dixon (Senior Lecturer in Economics and contributor to Mute magazine) will be joining the 10th Floor on Wednesday 8th Dec. 2010 at 1pm to discuss the Window Curve: economy, crisis and restructuring. What is the Window Curve? They put the cat out the door but our cat makes a dash round to the window. Bourgeois society survives through the transformation of problems that then produces the ground of the next problem. There is no solution – there is a history of formation. At the heart of this is the formation of labour. This is the essential basis of bourgeois society but it also forms a class perspective. Talk 30-11-2010 | Sabeth Buchmann. As Institutional Critique disappears, the University Plan arrives. 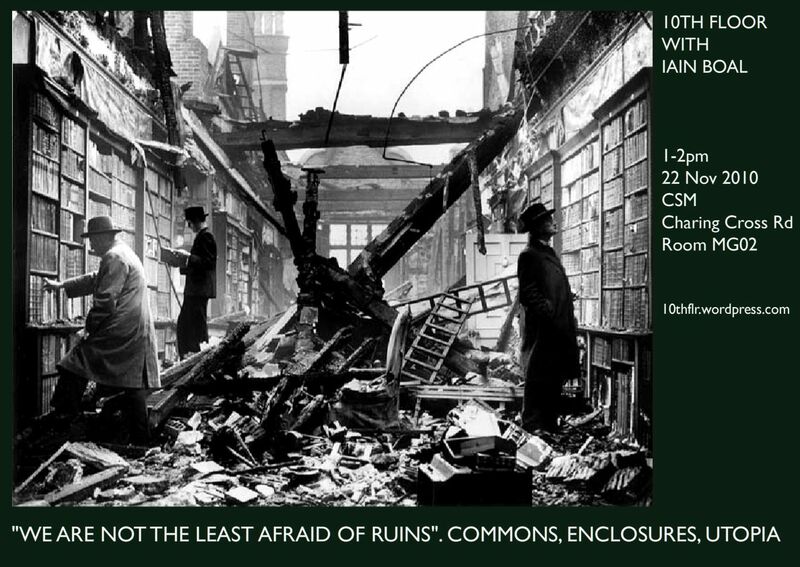 Iain Boal is a social historian of science, technics and the commons. He is associated with Retort, the SF Bay Area group of writers, teachers, artists and artisans. He is one of the authors of Retort’s collaborative Afflicted Powers: Capital and Spectacle in a New Age of War (Verso), and participated in Retort’s installation “To Offend Our Enemies”, commissioned for the Seville Biennale. He co-edited Resisting the Virtual Life (City Lights Books) and his short history of the bicycle, The Green Machine, is forthcoming from Notting Hill Editions. Former St. Martin’s School of Art ‘A’ Course student and member of the Manydeed Group, Deirdre McArdle, will be joining the 10th Floor to discuss her time at the college in the early 1970′s.